Flash Decompiler is a powerful SWF to FLA converter with functionality to decompile Flash movies, convert SWF elements into multiple formats and replace them on the go. With an ease of one click you can store sounds, images, videos, shapes, frames, morphs, fonts, texts, buttons, sprites and ActionScripts from any SWF file directly to your hard drive. You can export Flash Video to AVI and FLA, save sounds as WAV and MP3, images – as PNG, JPEG and BMP, texts as RTF, TXT and HTML. 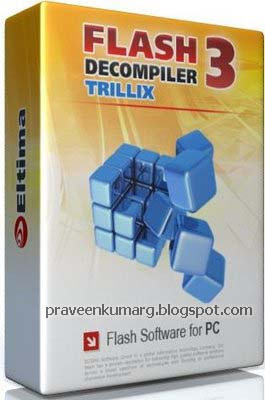 Flash Decompiler by Eltima lets you convert the whole SWF file or only shapes, images, sounds, morphs and texts into FLA. Projector EXE files are decompiled the same easy way as common SWF files. Flash Decompiler will give you detailed information about shapes, images, morphs etc, also tracking their placements in frames and sprites and even reflecting original names of frames, ActionScripts and sprites.